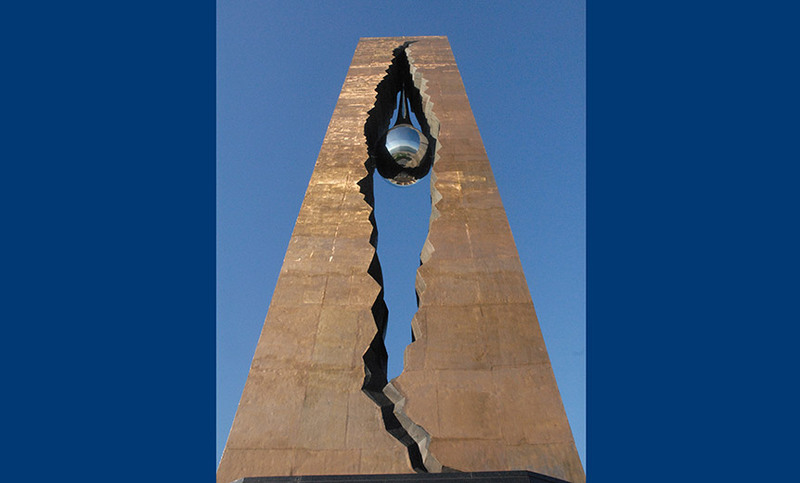 Monument to the Struggle against World Terrorism - MAST Construction Services, Inc. This project is for the foundation and infrastructure necessary to support the 106 foot tall Monument to the Struggle Against World Terrorism. 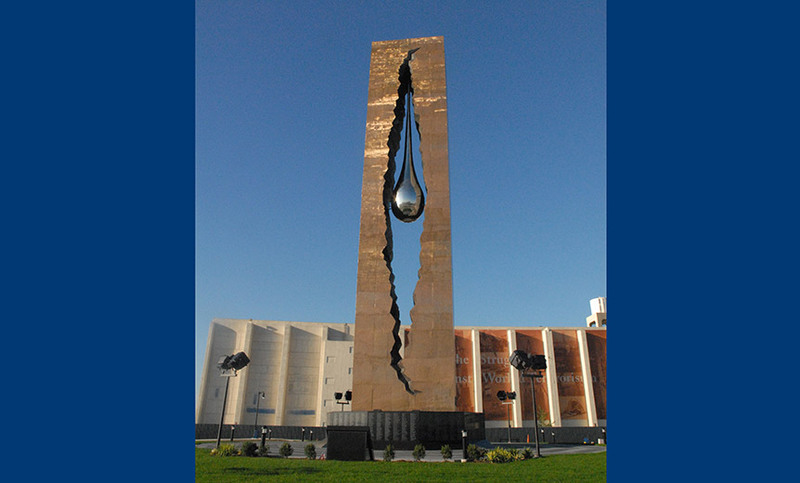 This monument is a gift from the world renowned artist, Zurab Tseretelli and the People of Russia, honoring the victims of the tragedy that took place on September 11, 2001. 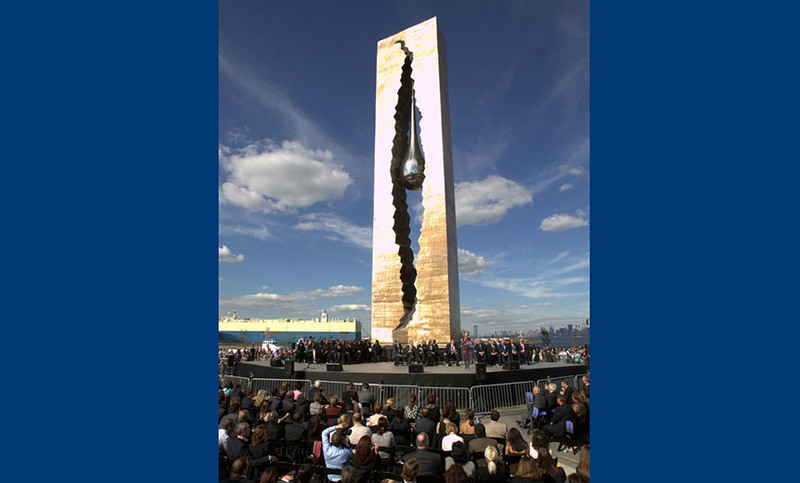 The monument was erected at the tip of the former Military Ocean Terminal in Bayonne, New Jersey (MOTB) on a direct axis line with the World Trade Center site in New York. The granite clad monument has the names of all the victims of September 11th engraved on the vertical granite panels. 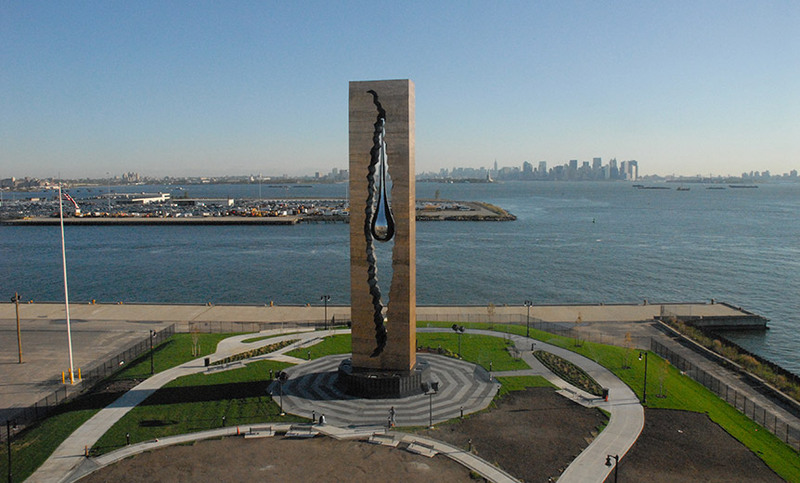 The monument is the focal point of a new park at the tip of the Harbor View Peninsula, and it is visible both day and night to all entering New York Harbor.